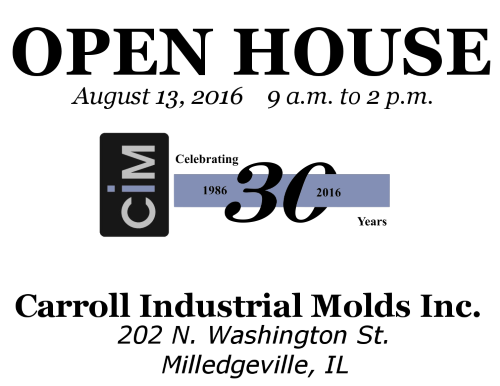 August 15, 2016 – (Milledgeville, IL) – Carroll industrial Molds Inc. (CIM) celebrated their 30th business anniversary with an Open House on Saturday, August 13th. Several hundred attendees received personal tours of the business conducted by CIM employees and were able to observe many of the company’s CNC machining centers and other equipment in operation. Guests also enjoyed a display of historical photos of the building while many past Kraft employees shared stories of the previous life of the facility as a Kraft cheese plant. Finally, everyone attending was treated to a pulled pork luncheon provided by the company. 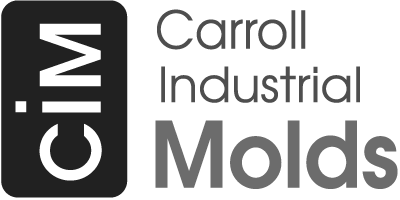 Carroll Industrial Molds Inc. was founded March 1, 1986 in Milledgeville, IL. The company expanded to a larger facility in Chadwick, IL until 1992, when they returned to Milledgeville and the former Kraft building in which they occupy 36,000 sf. today. CIM currently employs twenty-two and manufactures aluminum molds used in the molded foam plastics industry in the US, Mexico, and Europe.